Situated in the City Centre just behind John Lewis, Longbrook Street is conveniently located almost opposite the King William Street car park and has easy access to the High Street, Bus Station & Central Station. 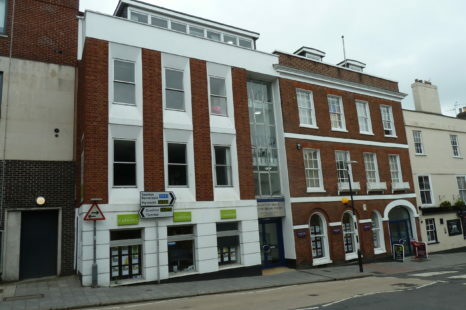 The property provides air conditioned office space, Cat 5 wired, cable trunking, suspended ceilings and entry phone. Suite 3 is situated on the 1st floor served by a light and airy main staircase and a passenger lift. Currently arranged to provide an open reception office area, two private offices, large general office & meeeting room plus store room, server room and staff room/kitchen. There is a kitchenette towards the back of the office space.